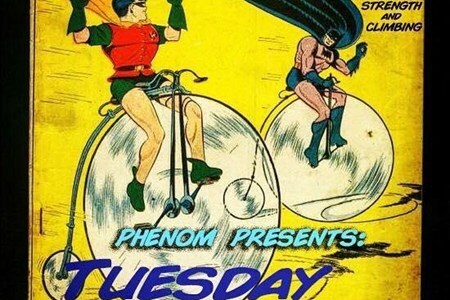 The PHENOM Saturday Morning ride meets at 8AM at Cycleast on E Cesar Chavez, every Saturday, rain or shine. Coffee, tacos, and snacks are available from Flat Track Coffee inside of ... moreCycleast before and after the ride. The ride rolls at 830 for 50 miles of rolling hills at a 16-18 MPH average pace. 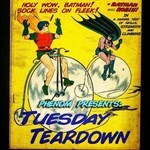 The Tuesday Teardown is now the Thursday Teardown! Expect 25-30 miles of punchy hills ride leaving from Cycleast every week at 6PM. This is a challenging, pulse-quickening, heavy-breathing, ... moreno-drop hill ride. Open to all who want to challenge themselves, the ride will tackle some of the steeper hills of Westlake Hills/West Austin with regroups after any of the tough climbs. Depending on ride size, the ride will split into two groups at ride leader's discretion. Make sure to bring lights, flat repair gear, and enough water for two hours of solid climbs and chill vibes. The average pace is usually around 12mph (factoring in climbs) but occasional sprint segments on the way back will get a little faster.